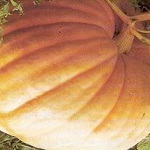 Sow spring, plant out once danger of frost is over. World record holder 1021 lb (456kg). Mr Dill's strain. 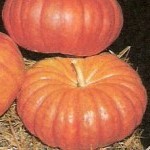 Traditional Halloween pumpkin. 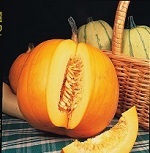 Orange fleshed, approx 10-15lb (4-7kg). Bright red flattish fruits, average 10-15lb (4-7kg.